Every year on Passover the Jewish community has an opportunity to reflect on the connections between our history and tradition and the world we live in today. We retell the story of our ancestors’ oppression under slavery in Egypt – their forced, brutal labor, the terrible loss of life among their children and families, the tests to faith and community endured in a narrow place. The connections to modern day oppression are clear – every day we see new instances of violence and police brutality. Community members are taken advantage of at their work places, their wages are stolen and their lives are at risk. Families are separated and torn apart by cruel people and policies. It is easy to see communities losing hope – becoming disconnected from one another physically and spiritually. But Passover is also a time when we celebrate moving out of this narrow place of struggle towards a vision for a better world. It is a time when we retell the story to ensure that we remember it and do not repeat it; that the violence we experienced in Egypt is not perpetrated against those we live with today – now and in the future. Join us as we recommit to resisting oppression to help bring about a world in which all are free. 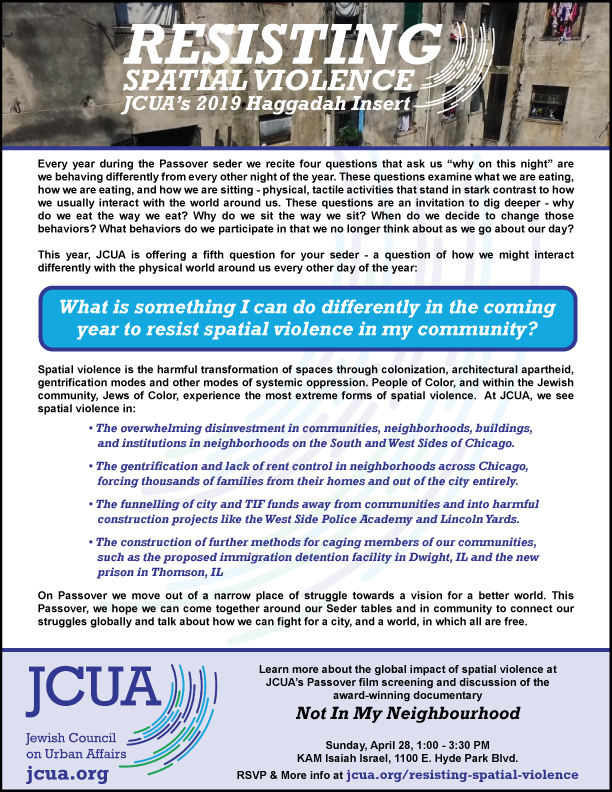 to resist spatial violence in my community? 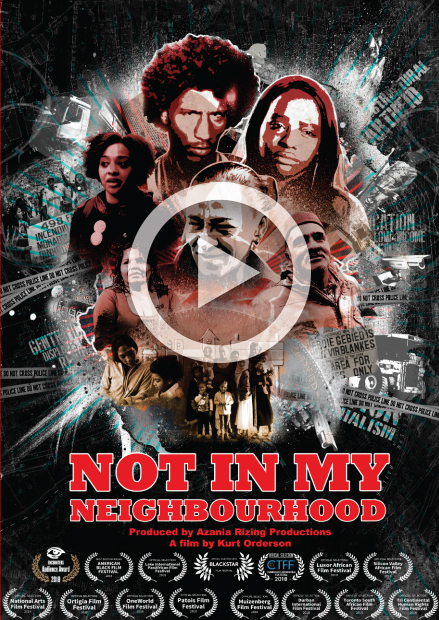 RSVP for our screening of Not In My Neighbourhood. This award-winning documentary tells the stories of ordinary citizens responding to the policies, process, and institutions driving contemporary forms of spatial violence and gentrification in Cape Town, New York, and São Paulo. We will be joined by Co-Producer Najma Nuriddin for a discussion following the screening. KAM Isaiah Israel, 1100 E. Hyde Park Blvd.